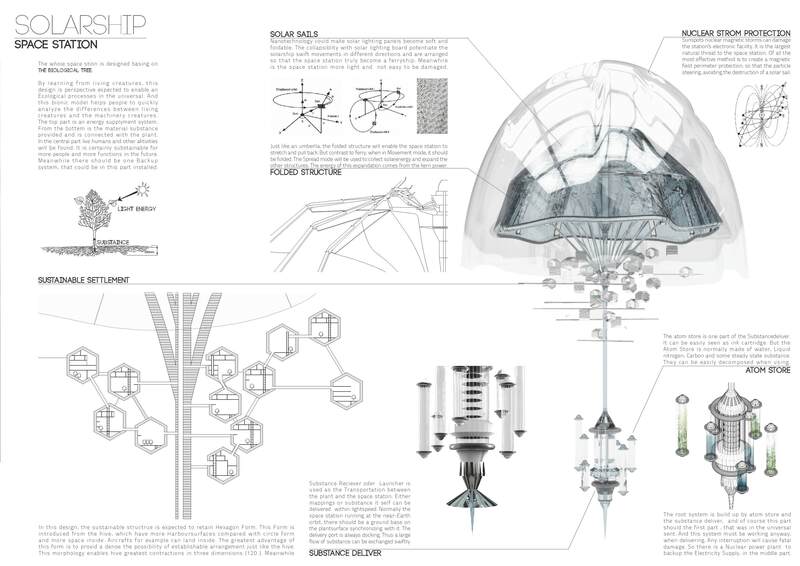 This entry was posted on September 21, 2013 at 2:53 pm and is filed under Architecture Competition, Space Station Architecture Competition. You can follow any responses to this entry through the RSS 2.0 feed. You can leave a response, or trackback from your own site. Siqi you made a valid point regarding the formal design of space vehicles. There is absolutely no reason why they should be designed aerodynamically. 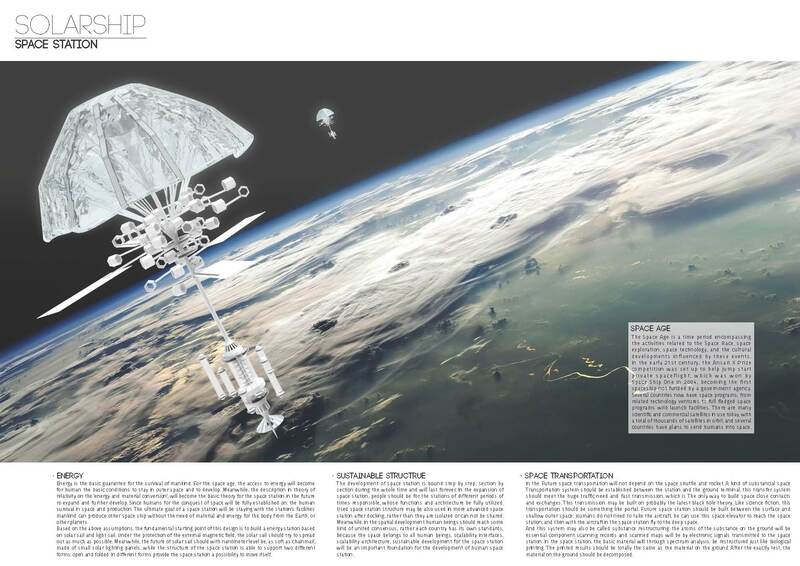 Yes, in the near future we will still see rocket propelled vehicles in space. NTRs are a sure bet, since they produce the best specific impulses “on the market” so far (almost twice the SI chemical rockets produce). However… there are some things that should be put into perspective. The way a spacecraft is propelled in seemingly empty space (space is NEVER empty – there are always particles!) DOES produce enormous forces – no, it’s not drag, there is no friction but there is tremendous stress in the structure when accelerating or decelerating (planet-hopping). And the fact there is only microgravity and almost no atoms around the vessel doesn’t affect this fact at all. The structure will still have to endure several Gs. So designs that are not compact but instead spread out would have to be reinforced – that means more material in the final consequence, more propellant,… The second thing I noticed is the solar sail you propose – sorry to say but to harness any meaningful radiation pressure in order to add to your primary rocket motor it should be 10x or maybe even 100x times bigger (depends on MT used for the vehicle and desired final velocity). Bigger sail means heavier fabric, more structure, more payload to assembly in LEO, more propellant, etc.. Regarding radiation shielding – you would encounter 2 main types of radiation – bursts of solar radiation (highly charged protons) and cosmic radiation (mostly gamma rays). Now, as we speak sub-atomic here, the main danger is for the astronauts, not for structure itself. Micro meteorites, dust and debris on the other hand can damage the structure… It’s a neat idea to form a magnetic shield for the station but it’s not a feasible one. The amount of energy to generate such field is not achievable unless we come up with a Star-Trek type of technology 🙂 A better way is to shield the astronauts with water tanks, propellent tanks and heavier parts of the structure.